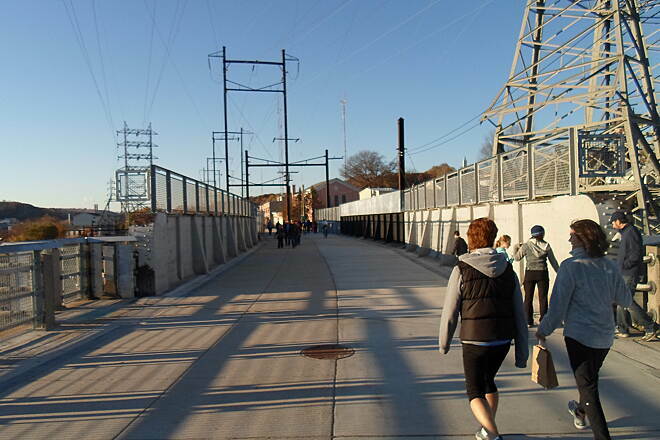 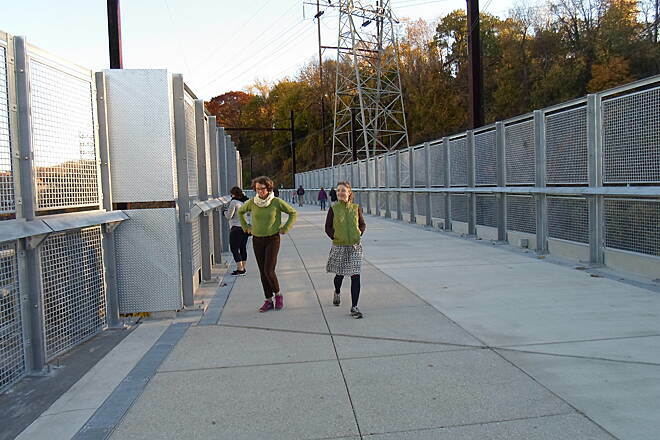 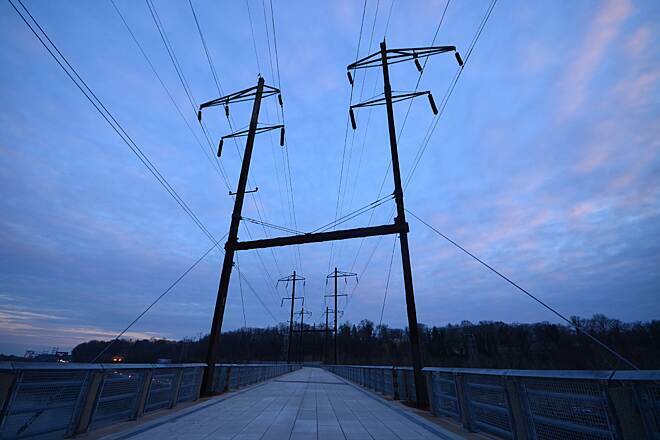 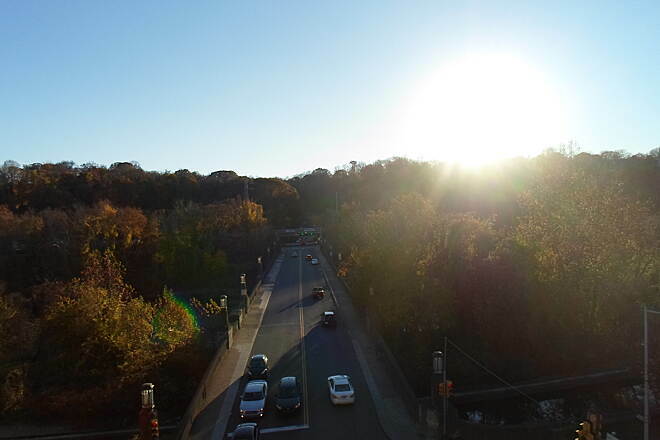 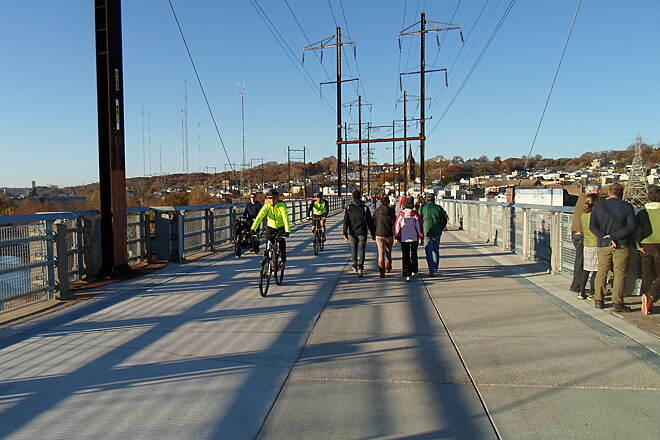 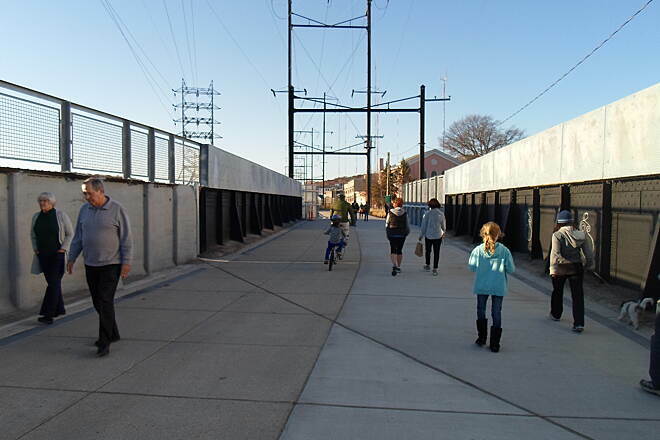 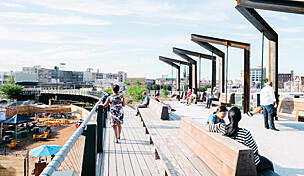 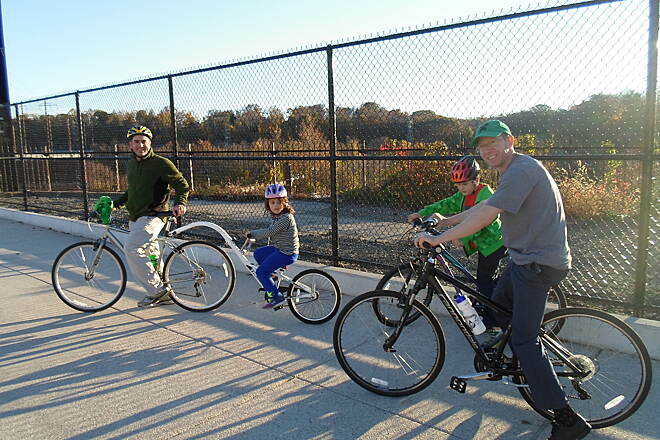 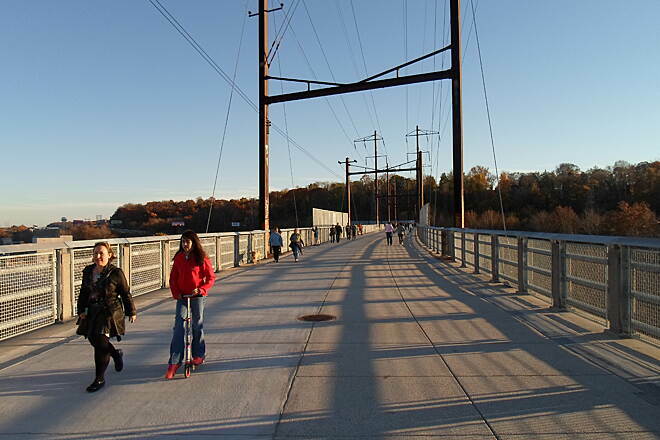 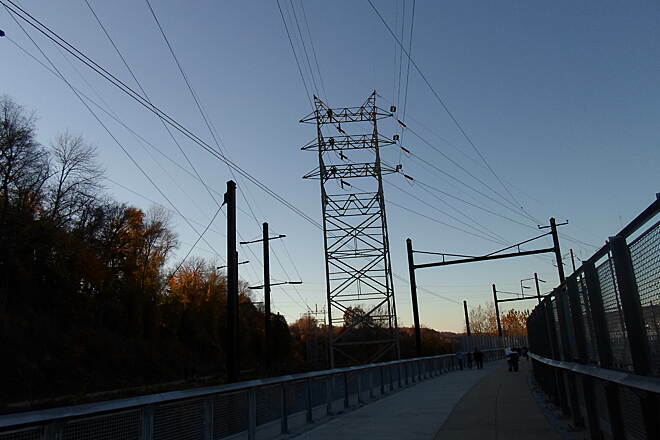 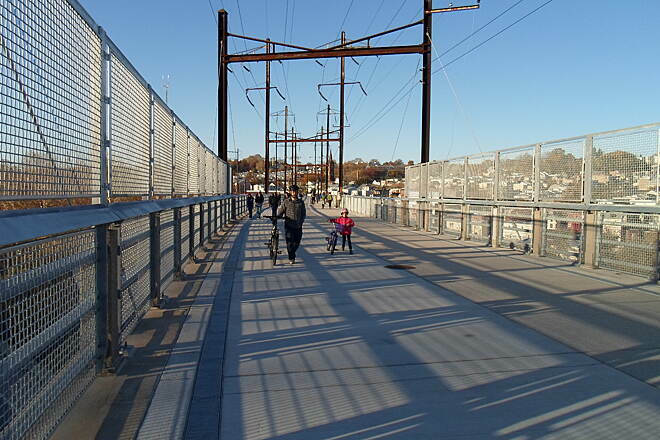 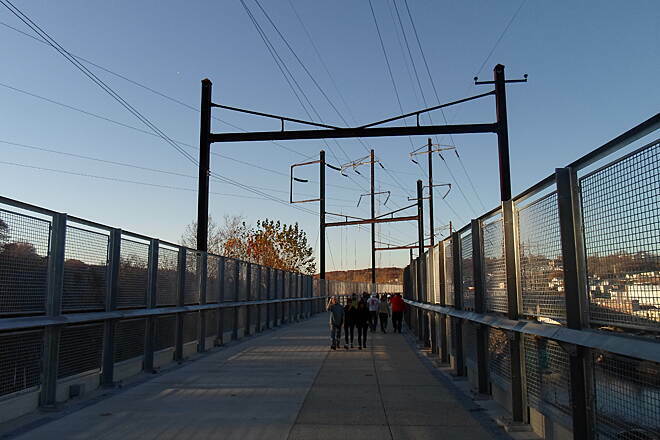 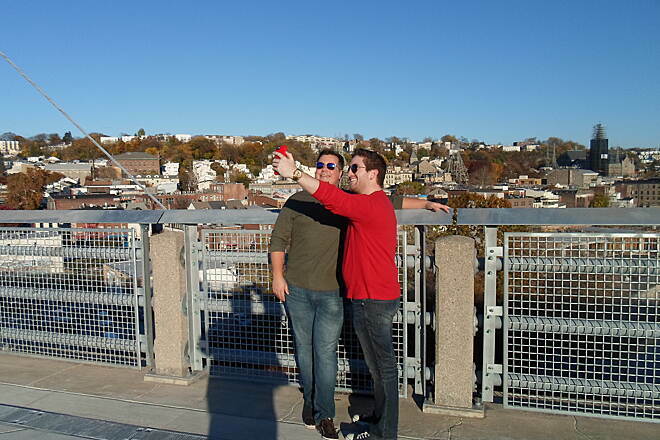 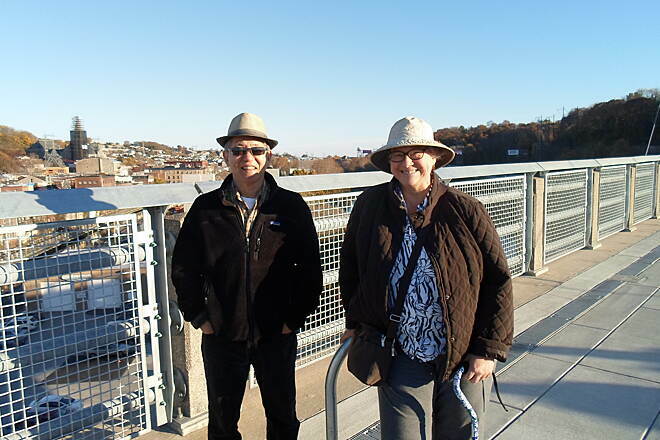 The Manayunk Bridge Trail opened in late 2015 to great fanfare, and for good reason: the trail, which crosses the Schuylkill River, Schuylkill Expressway (Interstate 76), and active train tracks, restored a historic bridge and opened it to public use after several decades of disuse. 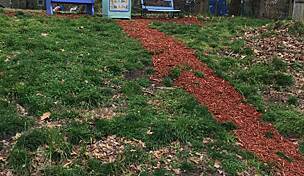 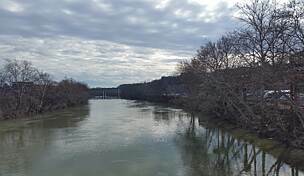 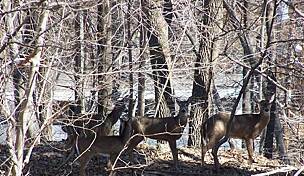 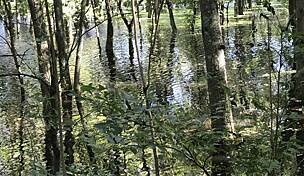 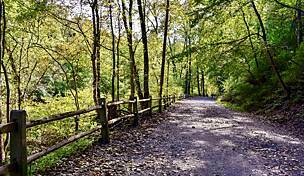 In the process, the short but important trail linked two other popular trails in neighboring Montgomery and Philadelphia counties. 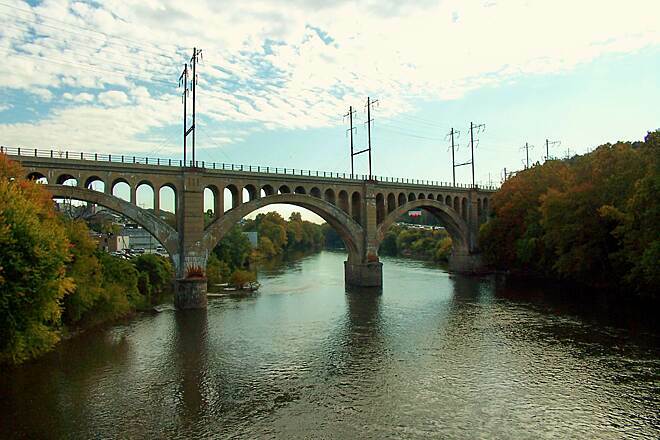 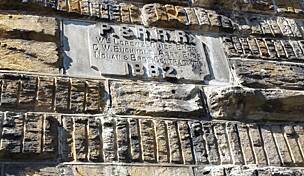 Opened in 1918, the Manayunk Bridge was built by the Pennsylvania Railroad as part of their Schuylkill Branch, which carried passengers and freight from Philadelphia to a point near Delano (northeast of Pottsville). 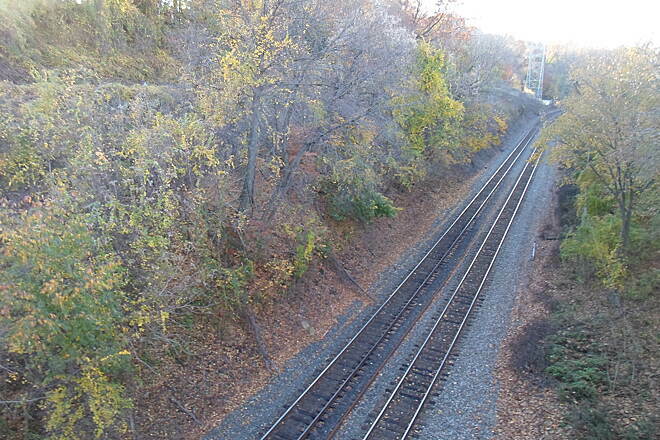 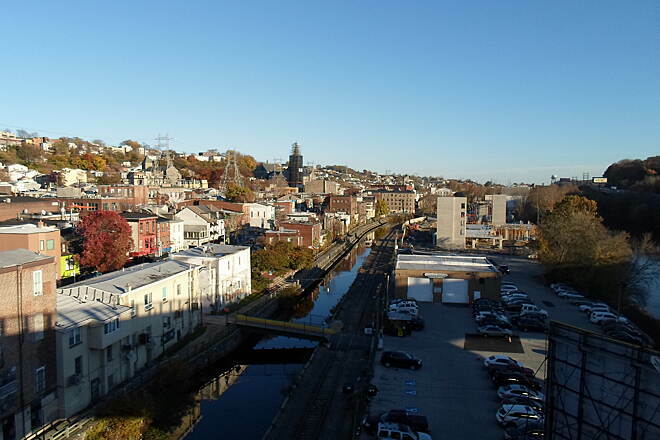 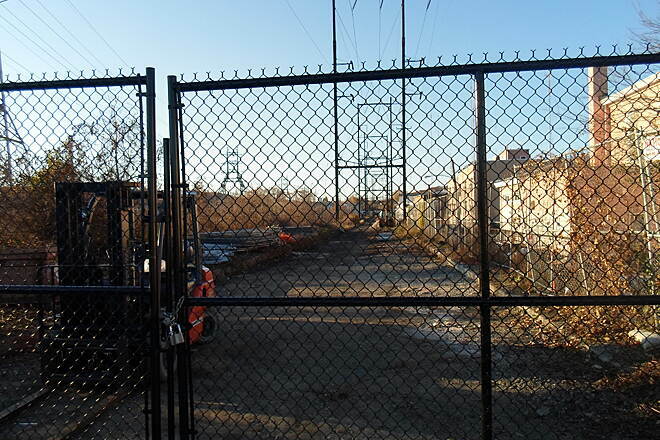 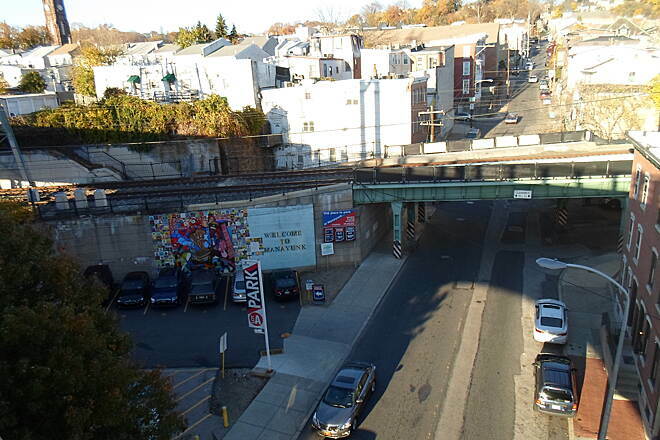 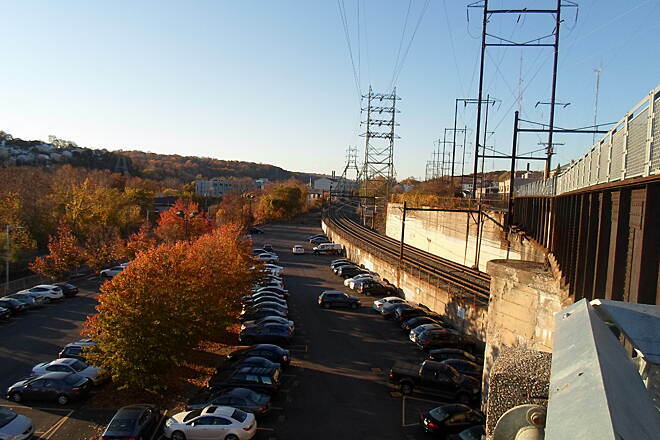 The line north of Manayunk was closed by Conrail—the successor to the Pennsylvania Railroad—in 1976. 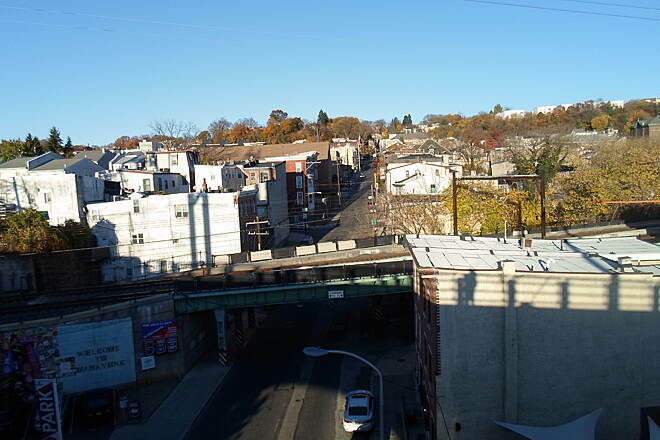 Subsequently, the regional transportation agency SEPTA took over the remaining line between Philadelphia and Manayunk, including the bridge, using it for service on its Cynwyd Line. 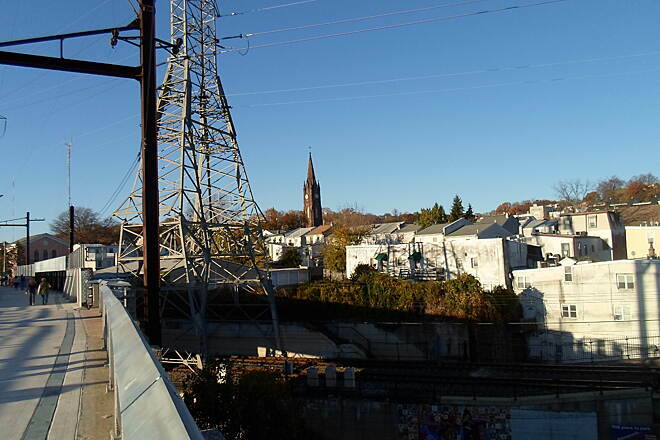 Passenger rail was truncated from Manayunk’s Ivy Ridge Station to Cynwyd in 1986, after which point the Manayunk Bridge ceased to be used. 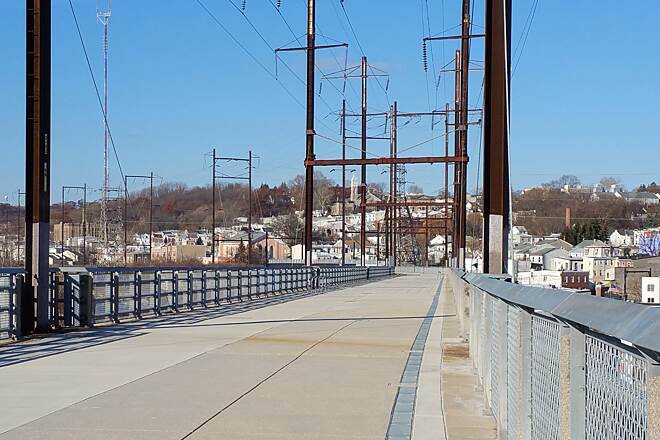 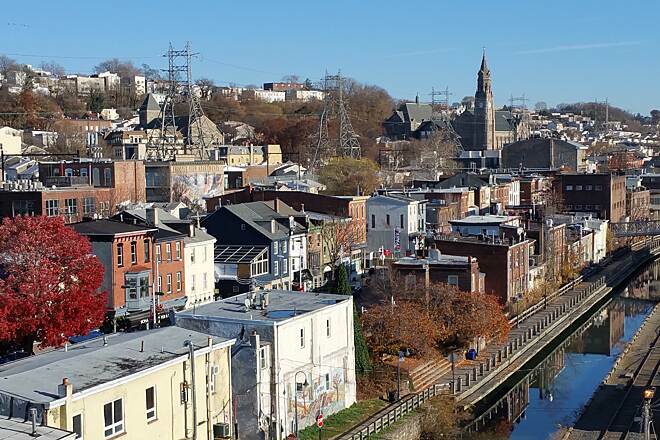 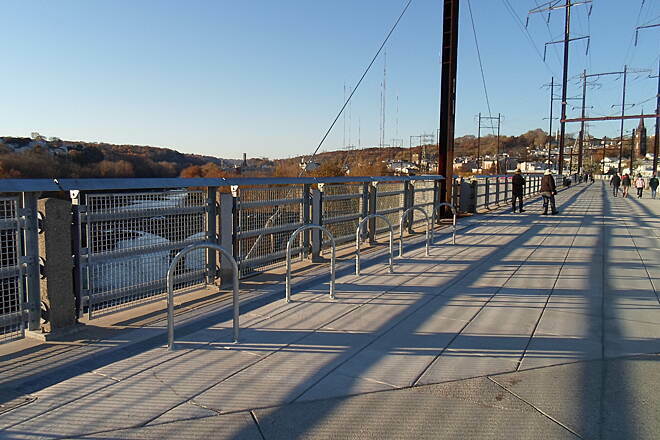 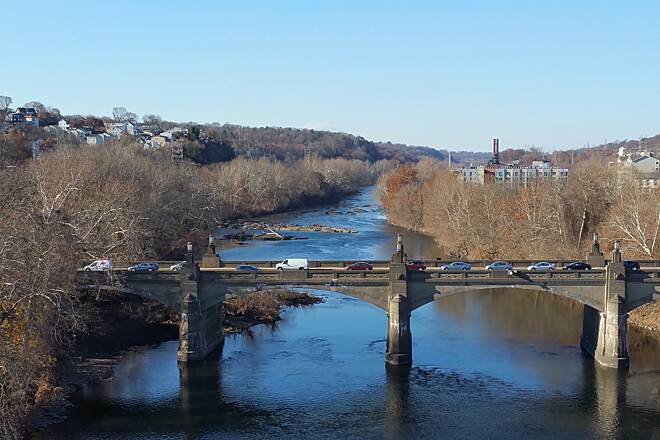 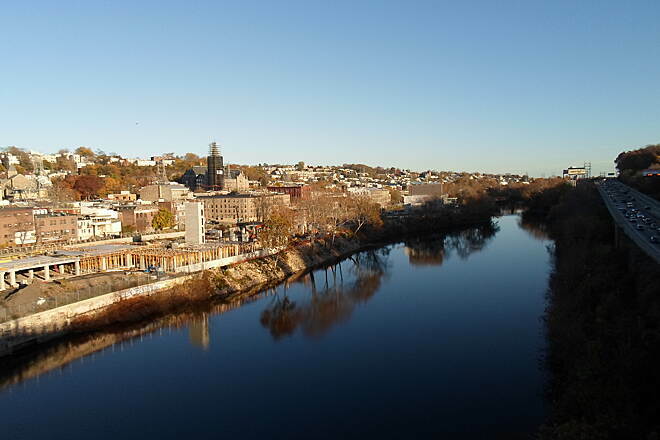 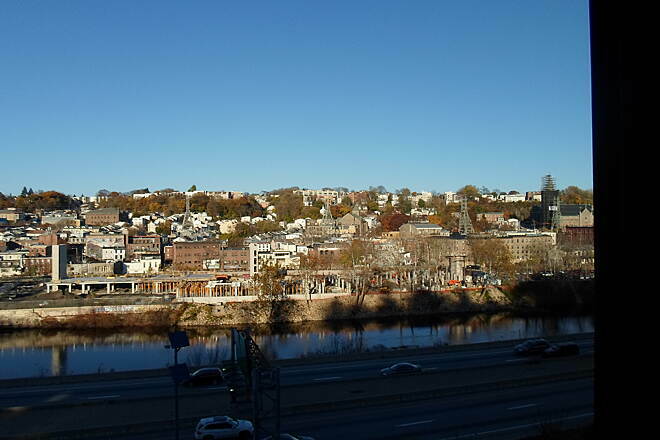 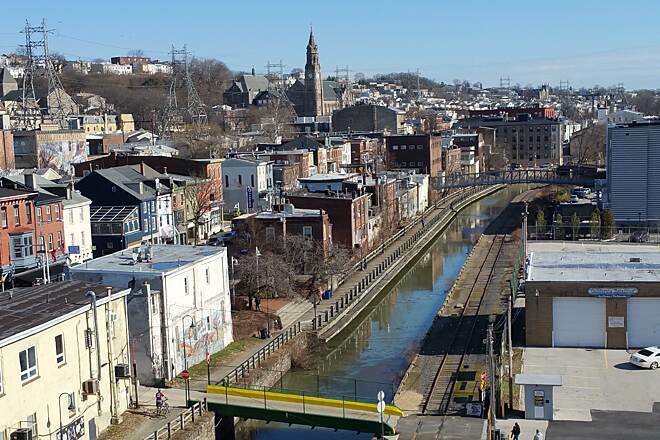 Now open for non-motorized use, the Manayunk Bridge Trail offers sweeping views of the Schuylkill River, Schuylkill Canal and downtown Manayunk. 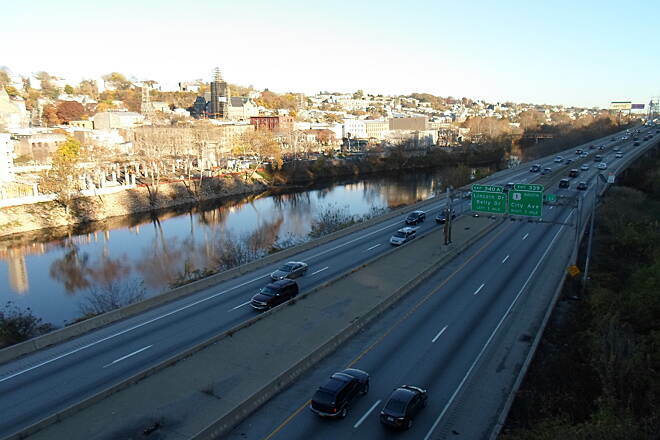 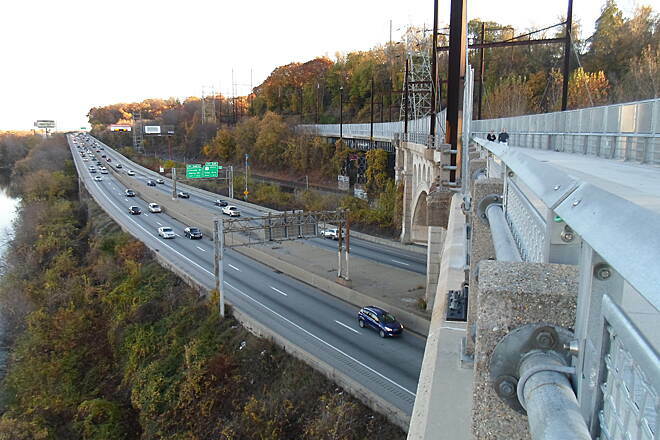 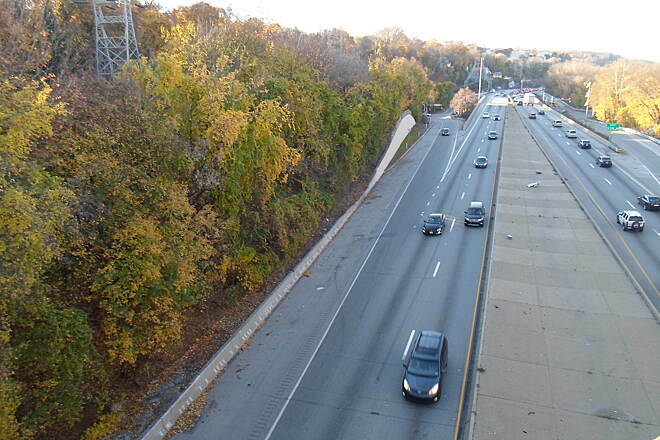 On the Montgomery County side, smile and wave at passing motorists on the Schuylkill Expressway below, which is seemingly perpetually gridlocked in the area. 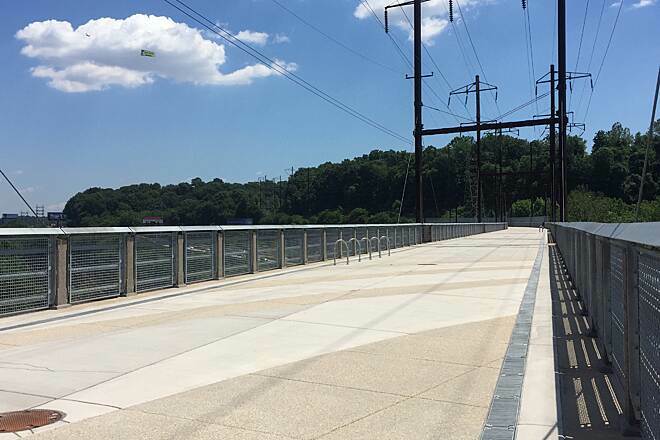 At trail's end in Bala Cynwyd (just beyond the highway), seamlessly pick up the Cynwyd Heritage Trail to reach SEPTA's Cynwyd Station. 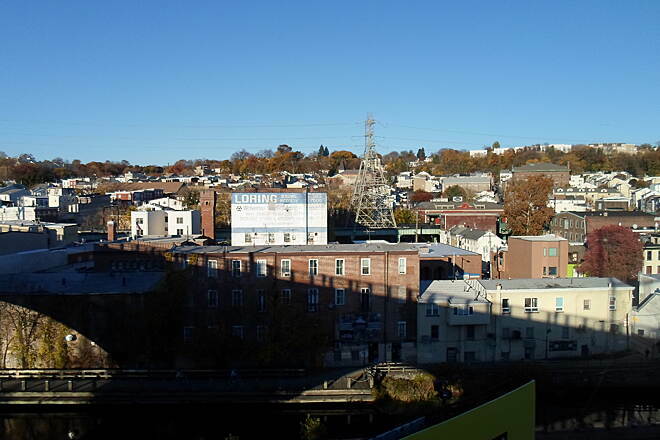 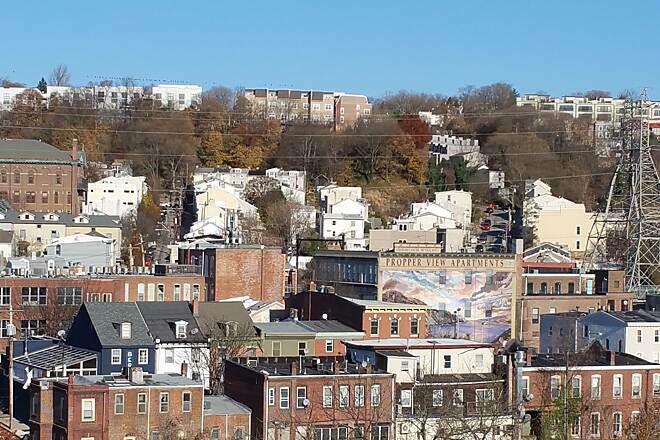 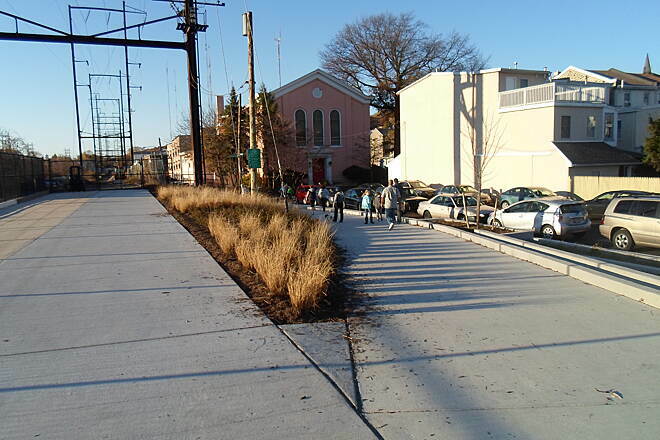 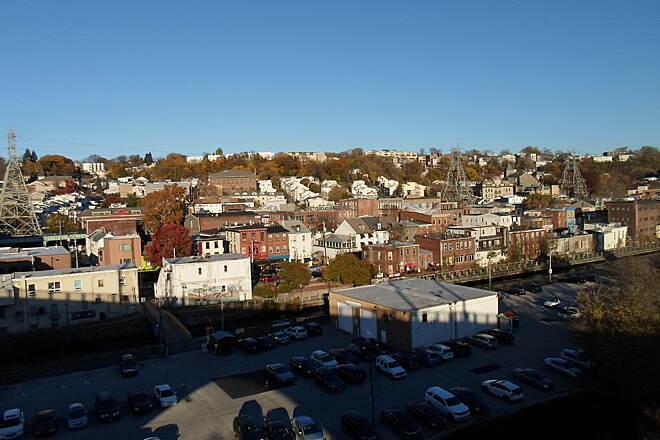 In Manayunk, the trail ends at the intersection of Dupont Street and High Street. 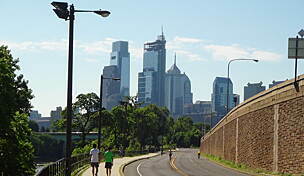 To reach the popular Schuylkill River Trail, continue on Dupont Street and quickly turn left on Baker Street. 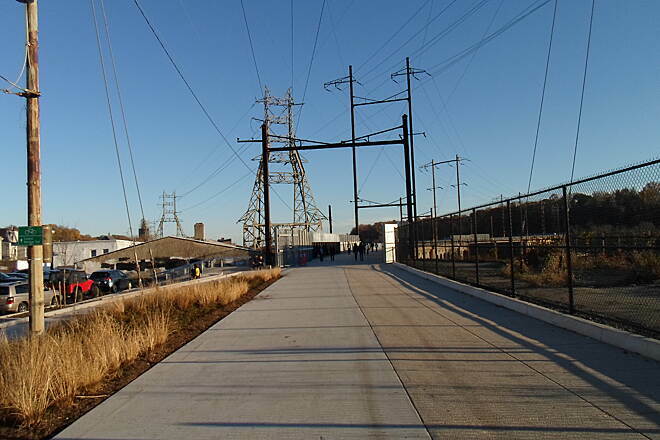 Take the second left onto Leverington Avenue; you'll pass under the former rail corridor as you head back towards the river. 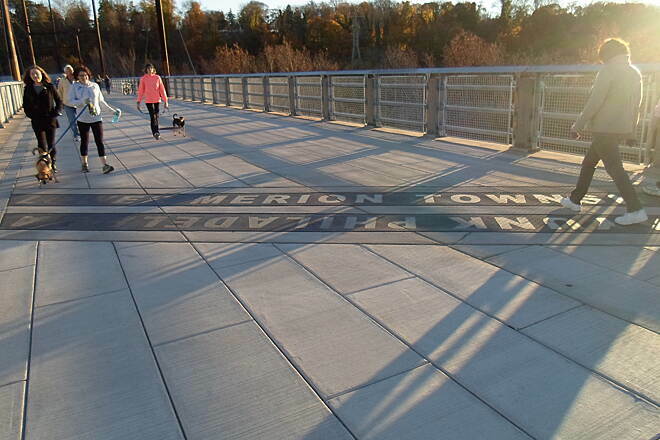 Turn left onto Main Street before you cross the canal. 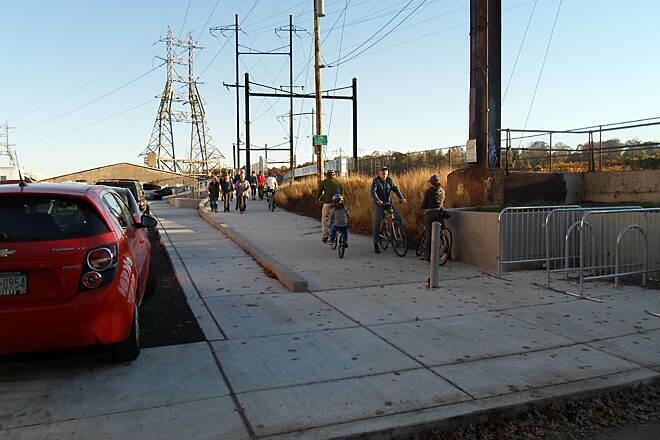 Access to the Schuylkill River Trail, which is signed here as the Manayunk Canal Towpath, is just a few feet down Main Street. 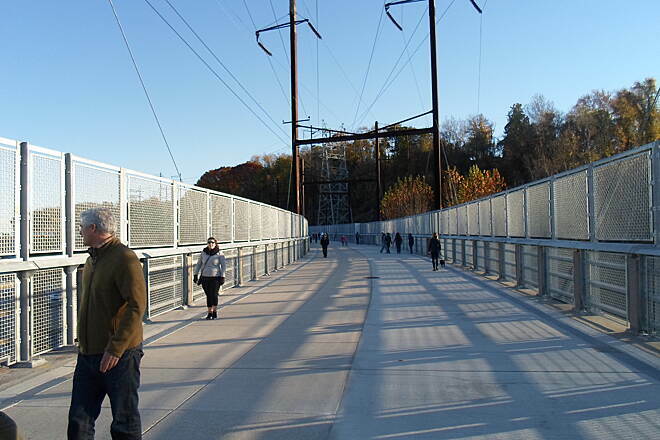 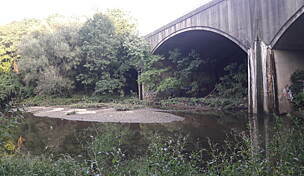 In the future, the Ivy Ridge Trail will continue on the same former Pennsylvania Railroad and SEPTA corridor from the Manayunk Bridge Trail's terminus to SEPTA's Ivy Ridge Station (and possibly beyond), providing enhanced transit and trail access and a possible future realignment of the Schuylkill River Trail. 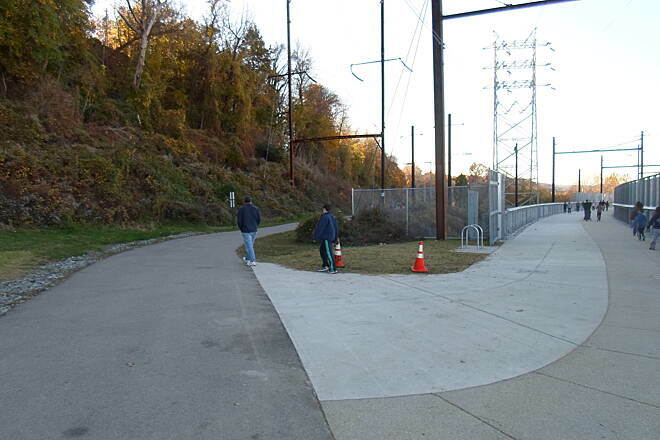 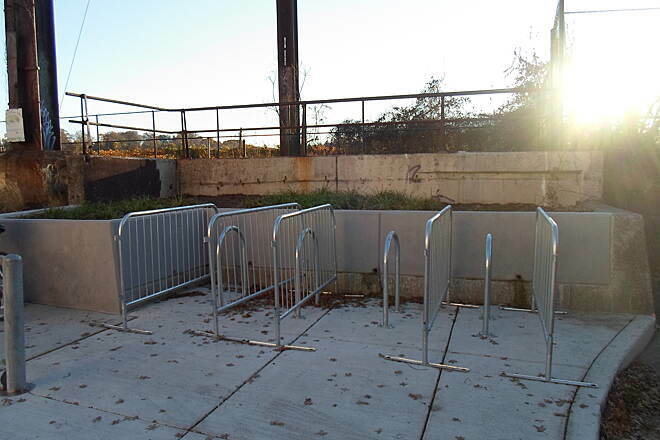 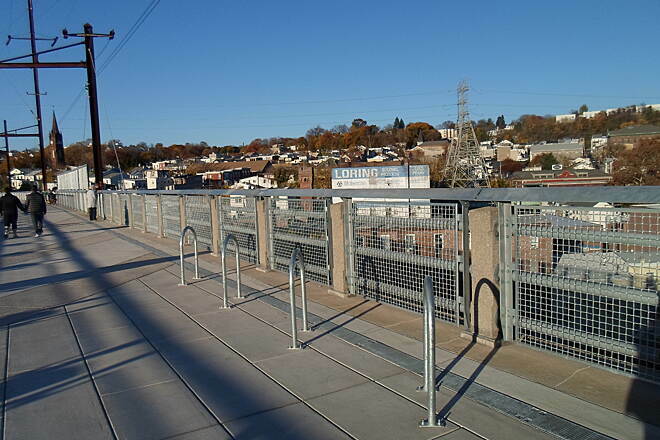 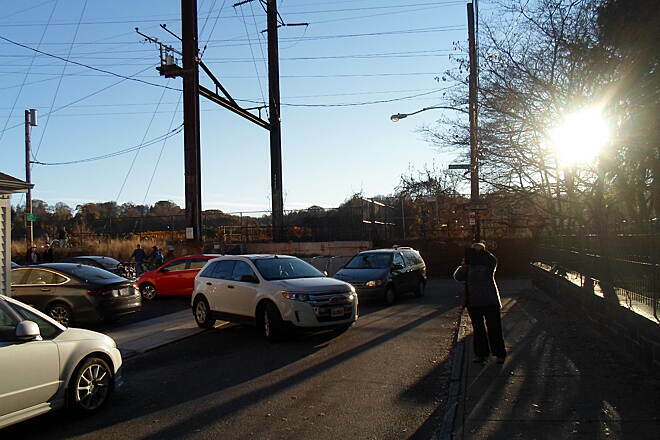 There are no official parking areas for the Manayunk Bridge Trail. 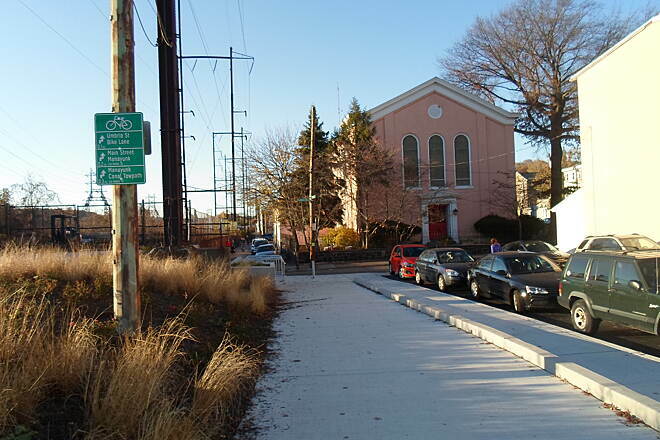 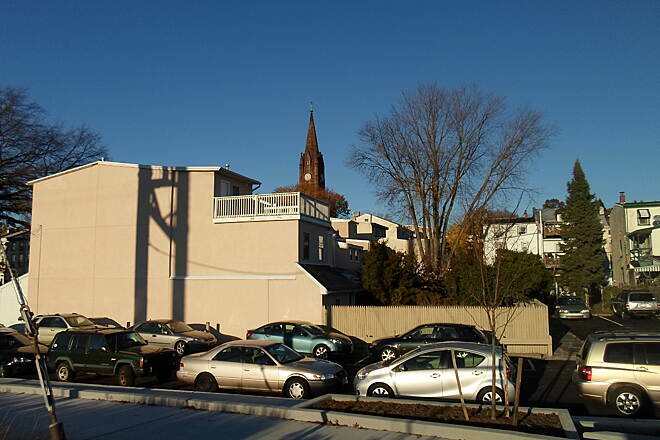 Access is available from the Cynwyd Heritage Trail in Bala Cynwyd and the intersection of Dupont Street and High Street in Philadelphia's Manayunk neighborhood. 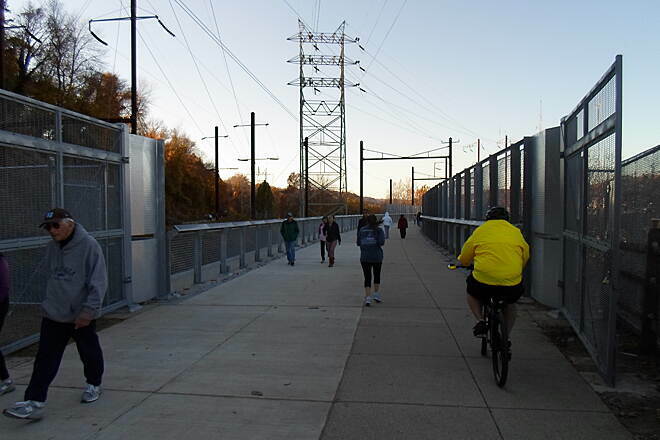 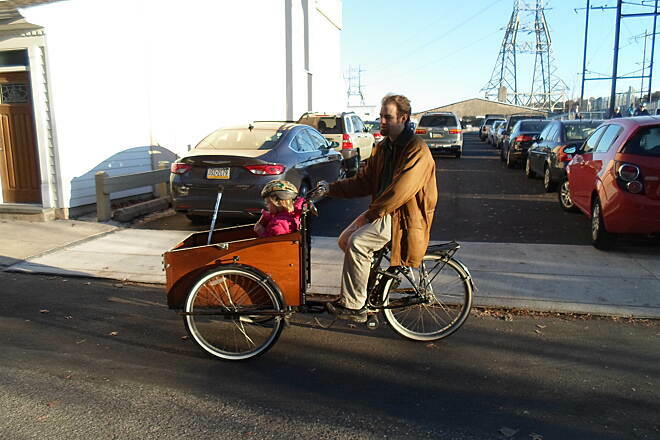 The Cynwyd Heritage Trail and the Schuylkill River Trail are wonderful, with one glaring and dangerous exception. 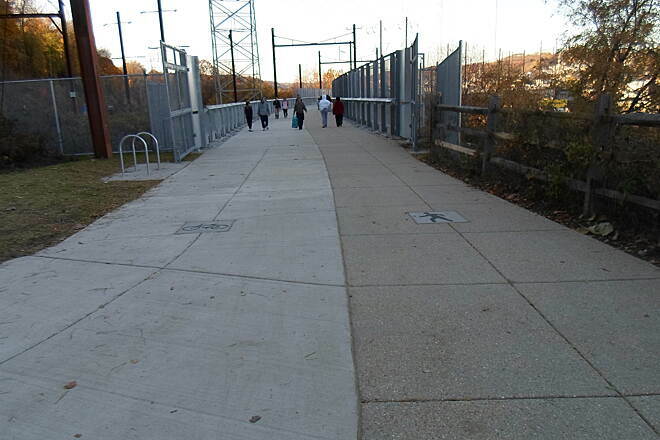 There is no easy direct linkage between the two trail systems even though they are two blocks away from each other. 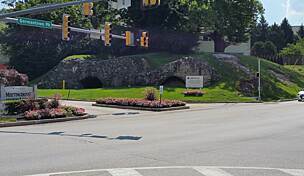 For everyone interested in continuing their wonderful journey, they are exposed to a very complicated and unregulated T offset intersection at Umbria and Leverington Sts. 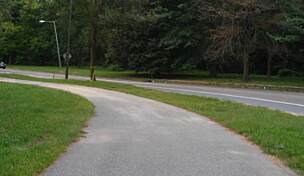 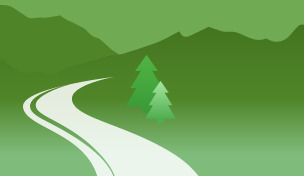 Whether walking, biking or running there is no safe way to go. 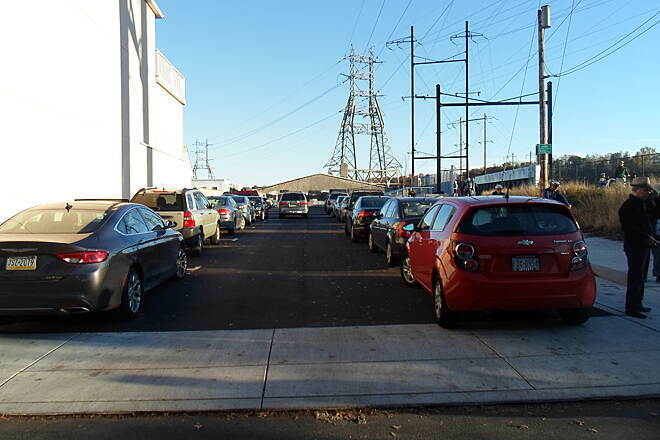 Is there any plan in the offing to solve this issue? 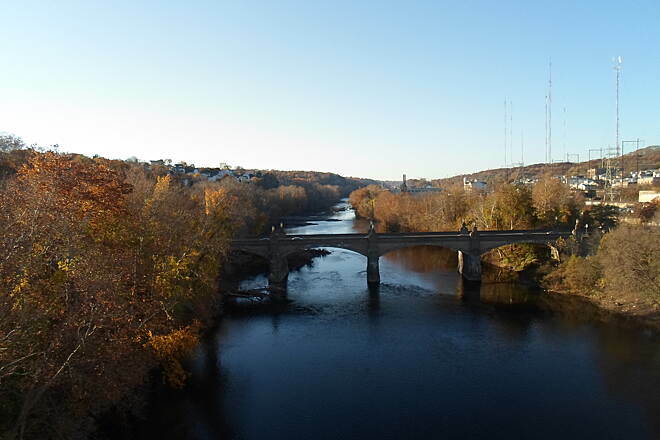 All you need to do is look at the photos to see how beautiful this bridge is. 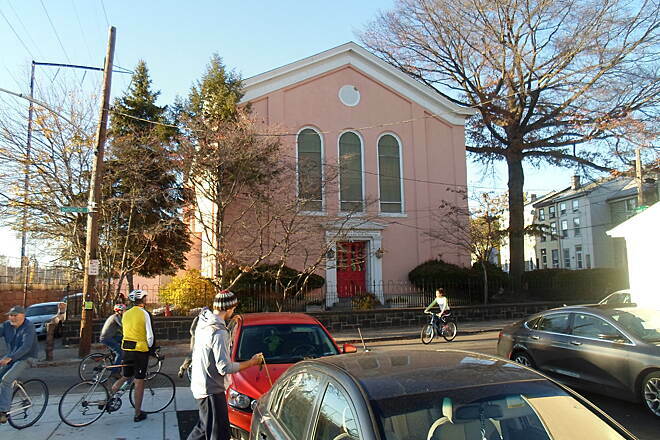 Unfortunately it closes before dusk. 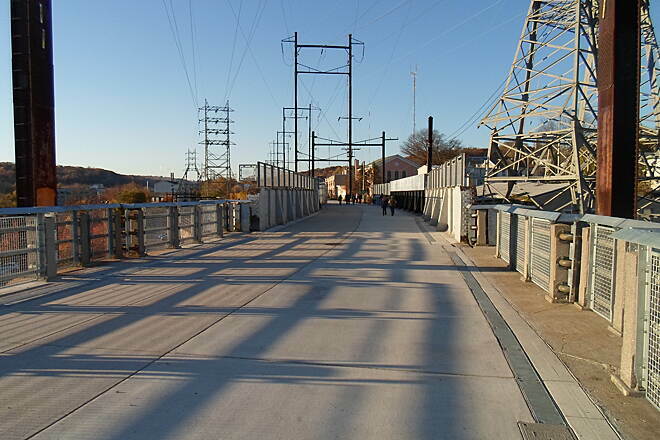 Money is in place to light the bridge, but it's going to take a year or two to get through the process. 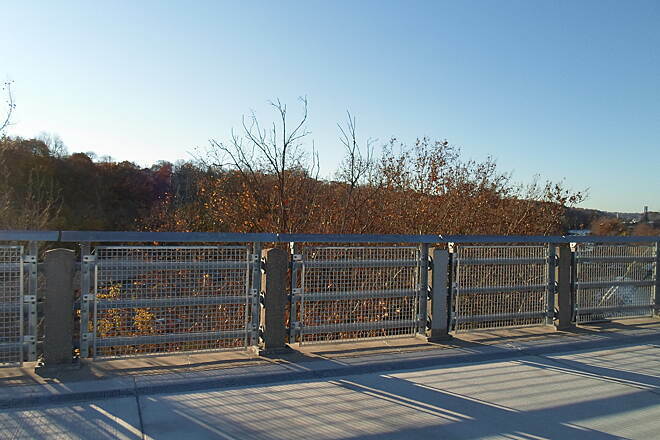 The bridge will then be open 24/7.